It’s a common thing to notice mold in a home or business. But, did you know that leaving mold to grow can lead to a number of serious health issues, including death? Because mold is living, requires specific environments, and can grow back if not removed effectively, professional mold treatment is vital to the removal of mold from a home or business. Instead of putting your family and/or employees at risk, consider A Plus Mold Remediation Inc. for all of your mold needs! It’s easy to assume that a fresh coat of paint or some bleach spray is enough to manage mold. 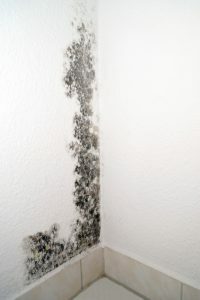 But, mold is a fungus which continues to grow if their environment isn’t changed. So, using household chemicals and masking the problem won’t keep you out of risk for developing damaging health issues caused by mold spores. It’s suggested that professional mold treatment is utilized when any home or business establishment comes across any mold. This way, the type of mold can be identified and the best method of treatment is used. Mold is a fungus which is spread by miniscule spores which cannot be seen with the eye alone. It is often carried into homes or business via air through open doorways and windows. Since mold is a fungus, it requires a moist, humid environment to grow and stay alive. So, one of the first measures of mold remediation is identifying any moisture and stopping the environment from receiving this moisture. The only way to be sure mold is removed effectively is properly identifying which type of mold is present. Professional mold treatment companies not only treat mold, but identify which type is evident. Mold can commonly be found hidden in a home or business by its stale, musty odor. Mold is extremely versatile and can live either in or outdoors, and in basically any environment found on earth. Now servicing all of South Florida, including Boca Raton and other areas of Palm Beach County. We’re NADCA/ASCS Certified through the HVAC Inspection, Maintenance and Restoration Association. Along with mold treatment services, we offer general cleaning, HVAC duct cleaning, mold inspection, and mold testing services. We remediate mold on a number of home and business surfaces including flooring, cabinetry, ceilings, drywall, and furniture. We utilize only the best in technology which helps us not only to remediate mold, but to identify the type of mold present in your home or business and the best method of treatment available. This way, you can be sure that all mold is remediated and will not be returning! Need Professional Mold Treatment in Boca Raton, Florida? Don’t make the mistake of attempting to remove mold yourself. Only the professionals can assure that even the mold spores naked to the human eye are removed from your home or place of business. Don’t put your family or employees at risk for preventable, mold-related illness! Contact us today to make an appointment for our mold treatment services!